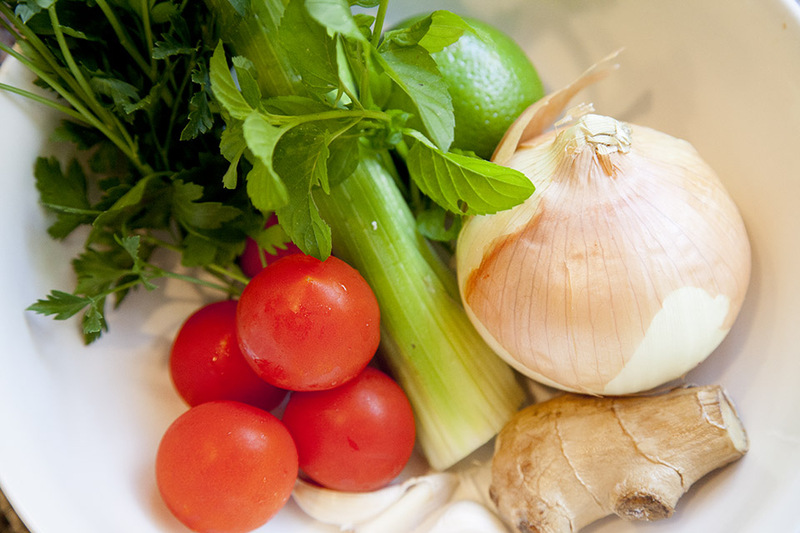 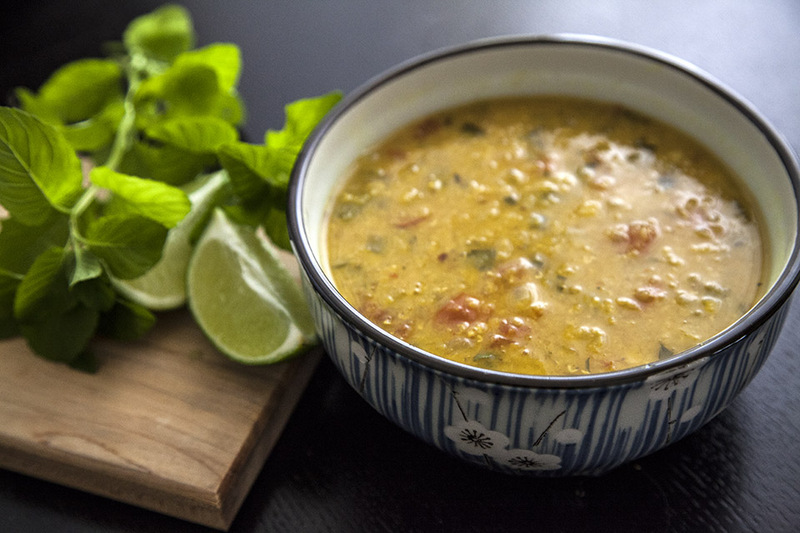 It is one of my husband’s all-time favorite soups. 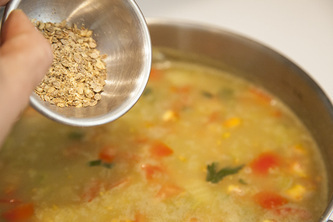 Every time he eats the last drop of this soup, he asks me when I am going to cook it again. 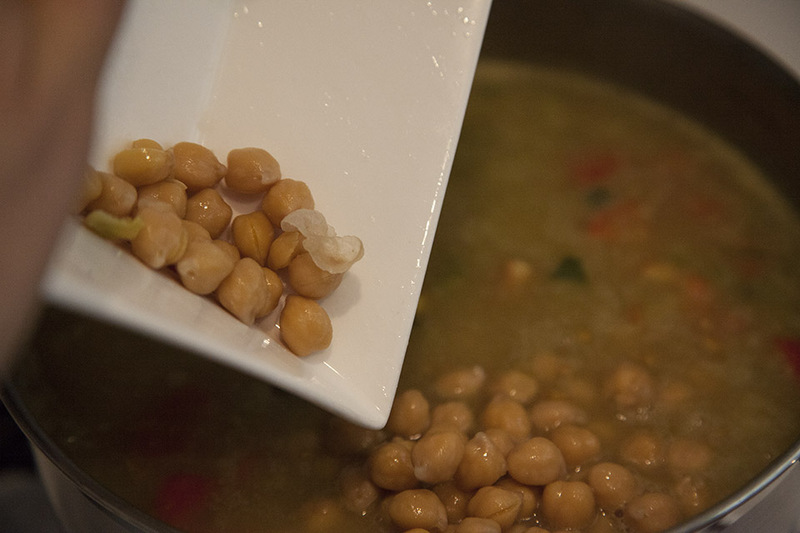 You have to cook the garbanzo beans in advance. Soak it overnight in a water, rinse and cook for about 1 hour. 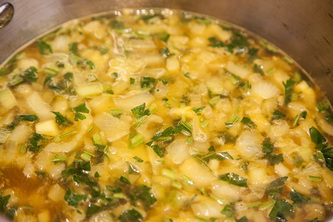 Heat olive oil in a large soup pan. 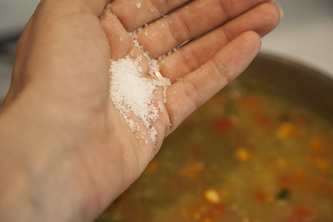 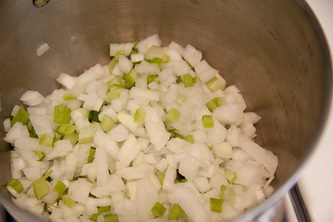 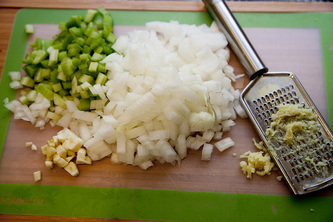 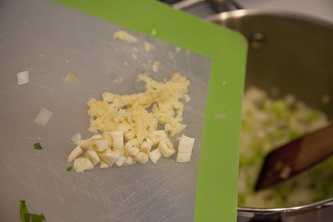 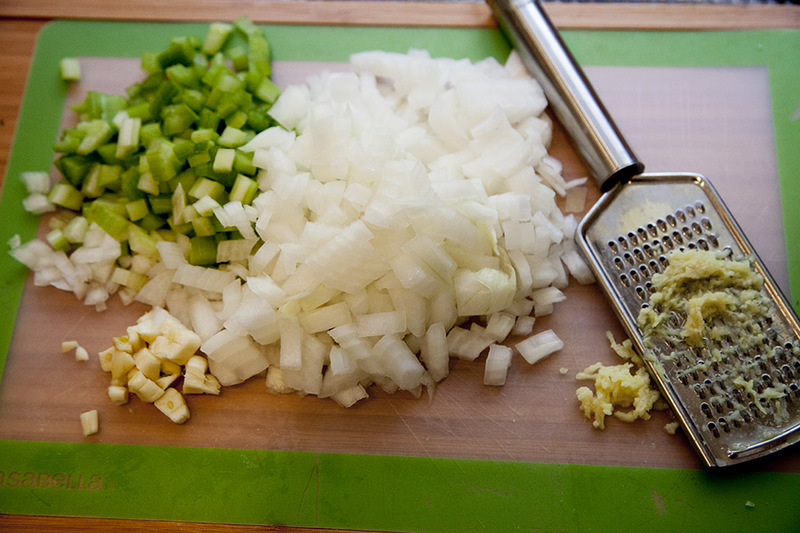 Add onion and celery, sprinkle with salt and cook, stirring, for 5 minutes. 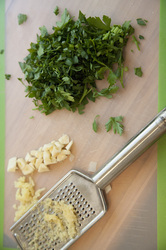 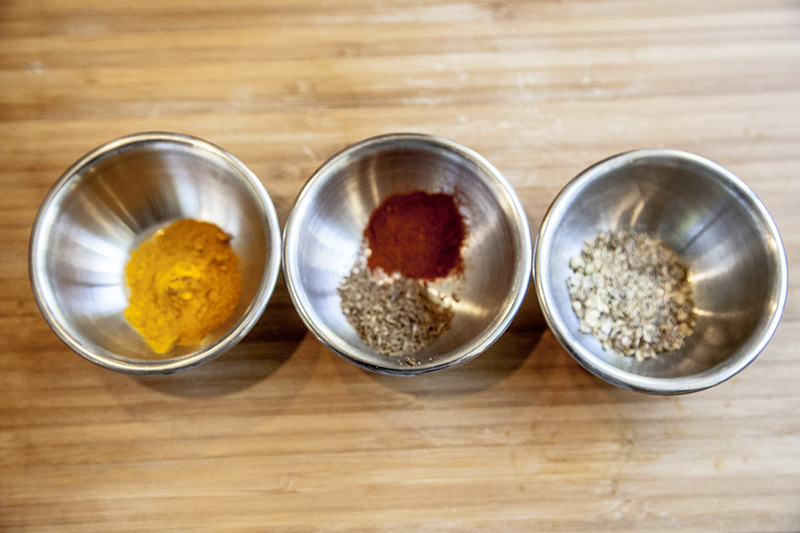 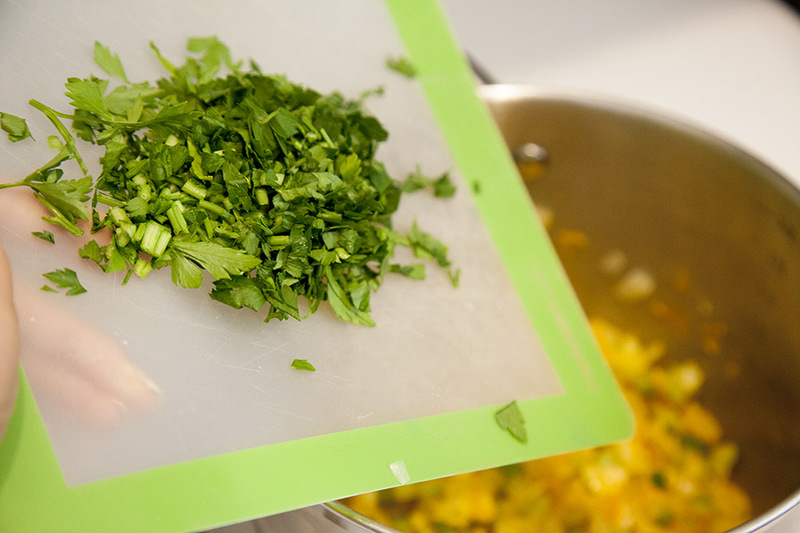 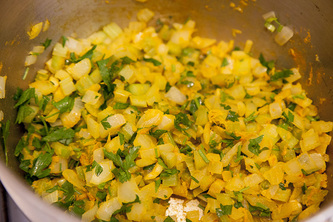 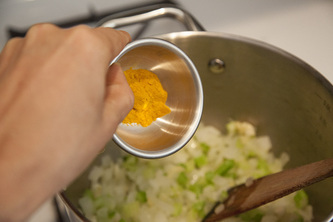 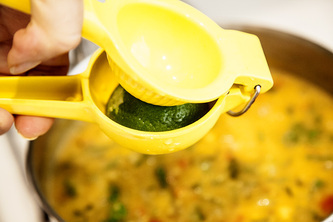 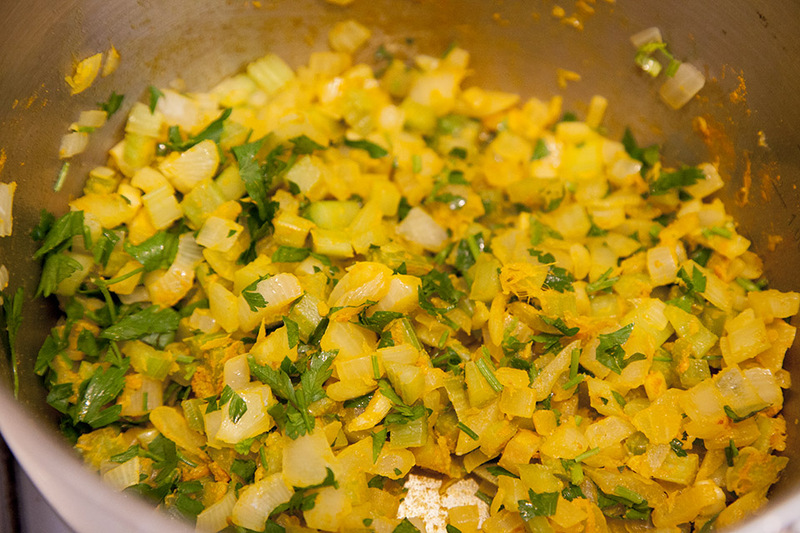 Add garlic, ginger, turmeric, parsley, and cook, stirring, for another 2 minutes. 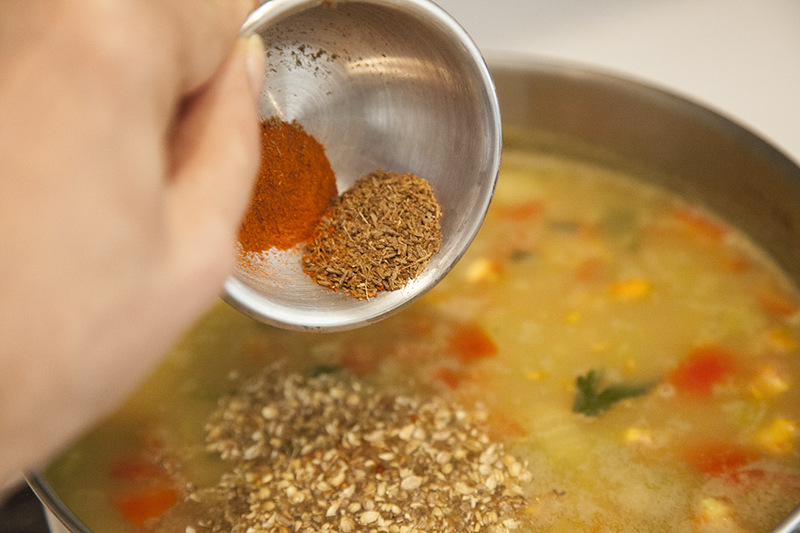 Add lentils, boiled water or vegetable broth. 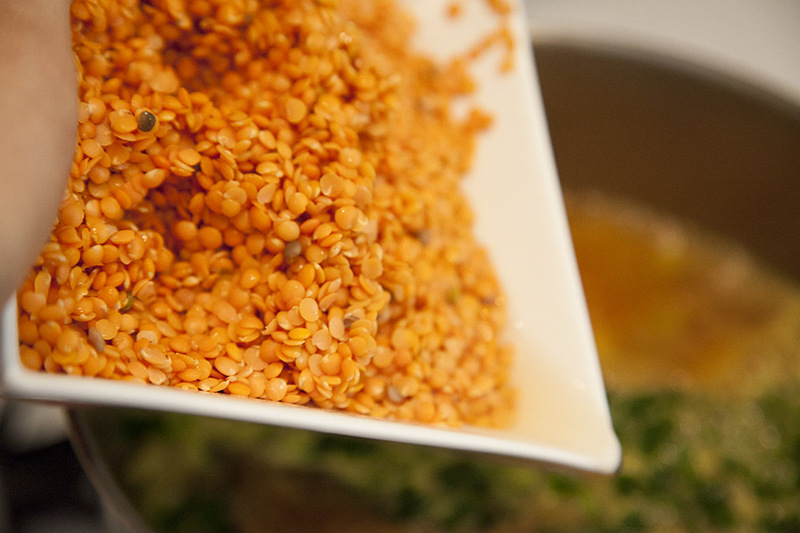 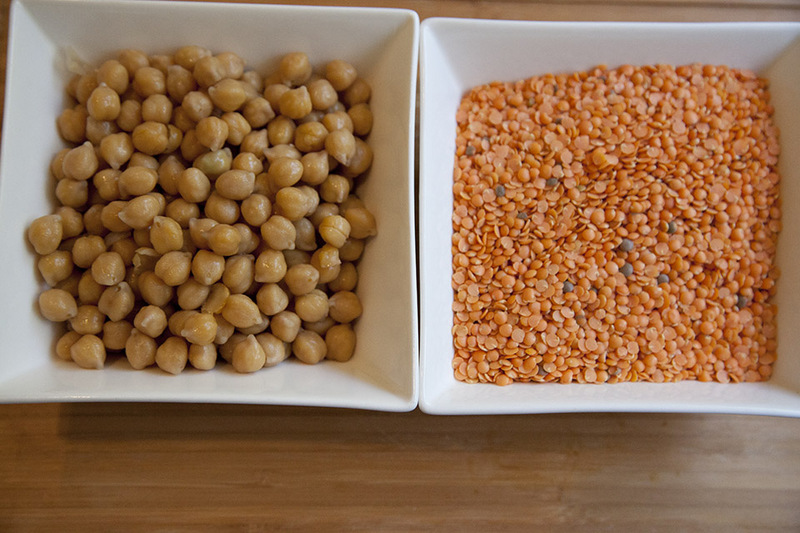 Bring to a boil and cook for 20 minutes, until lentils are tender. 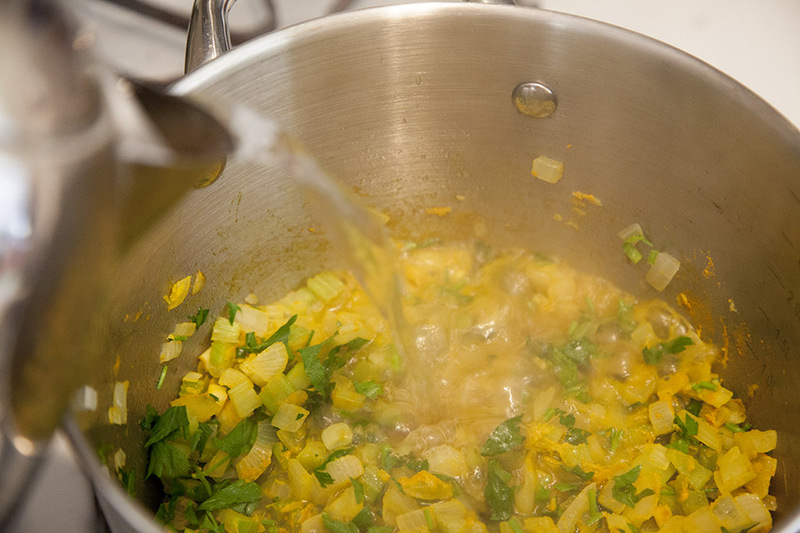 If soup gets too thick, add more water. 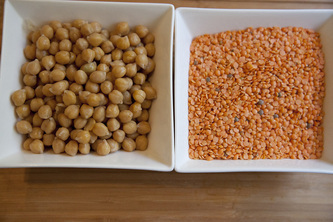 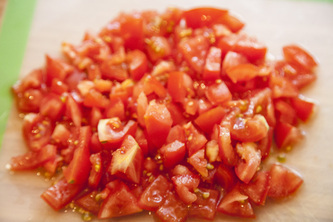 Add tomatoes, cooked garbanzo beans, coriander, cumin, red pepper and cook for the last 10 minutes. 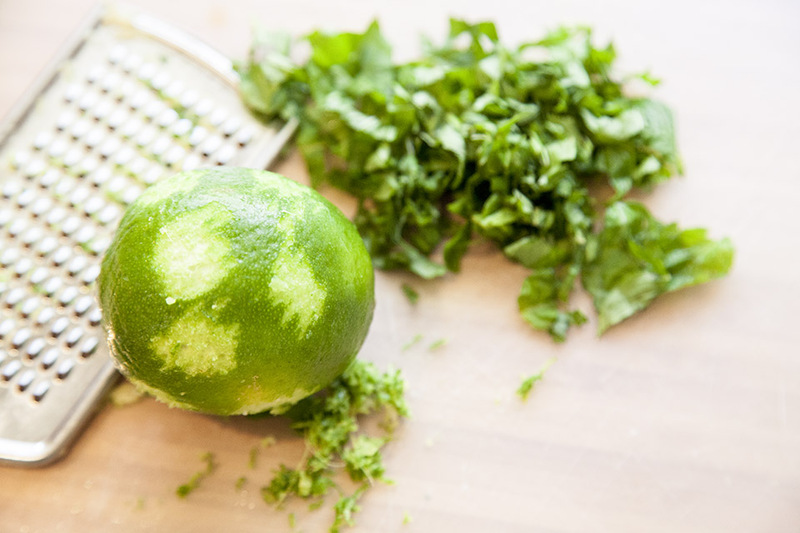 Add mint, lime zest and lime juice, and tune off the heat. 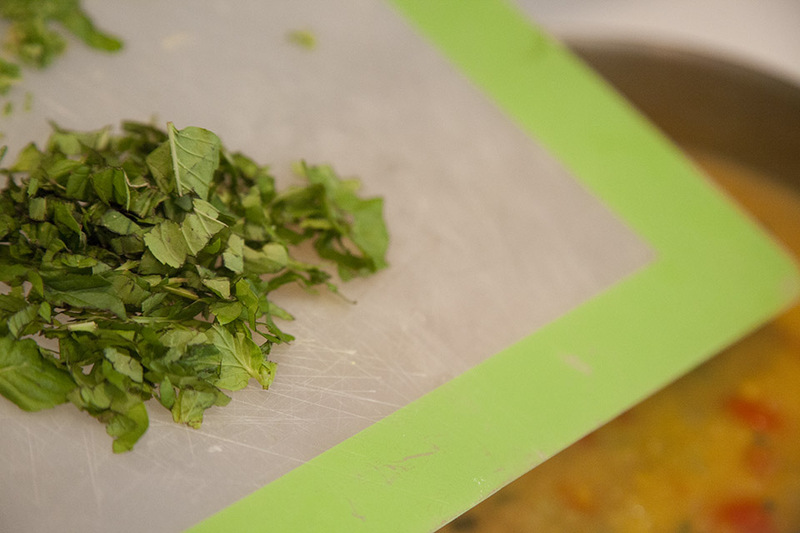 Your soup is ready.